Most cases tend to mask the beauty and allure of certain phone designs, though, sometimes if they’re really ugly looking, a case can actually beautify it to some degree. However, today’s flagship smartphones are meticulously crafted with plenty attention to detail – such as the LG G3. For those gunning to pick up the phone when it goes on sale, the Spigen Ultra Hybrid case will allow you to flaunt its attractive design with its translucency. In comparison to the Spigen Ultra Fit case for the LG G3, the Ultra Hybrid one offers a little bit more protection by covering the entire back and edges of the prized smartphone. Constructed primarily out of high-grade polycarbonate, one that’s translucent to allow the phone’s design to shine through, there’s a highlighting colored TPU bumper that wraps around the edge of the case – allowing it to absorb some shock in the event it’s dropped. On one hand, it survives minor falls, but for those major ones, you might want to let out a small prayer before looking at the aftermath. 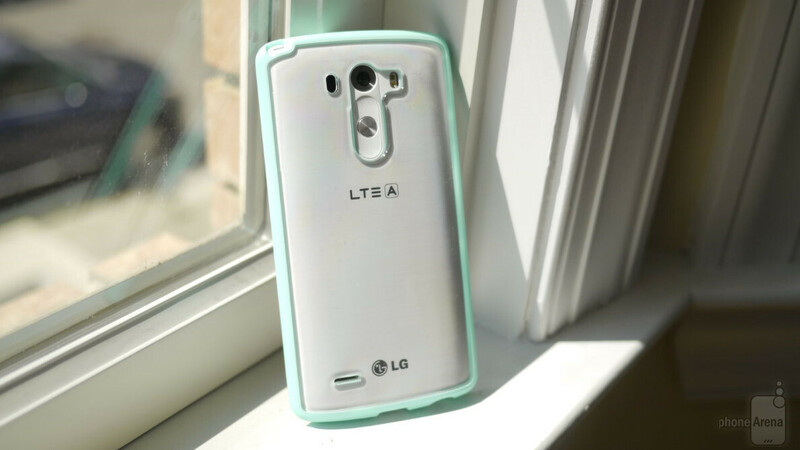 Our particular unit has a soft “mint” accent that meshes pleasantly with the white color of our LG G3 unit. Fortunately, it doesn’t add a whole lot of bulk to the phone, seeing that it’s form-fitting and all. Cutouts are all around the case, such as in the rear for the camera and button configurations, the microUSB port, headphone jack, and even the antenna on the top side of the phone for the Korean version. Overall, it’s wonderful that the back and sides are completely covered and protected – while still keeping intact the phone’s lovely looks thanks to its translucency. Considering that it’s slightly sturdier than the Ultra Fit case, it makes sense to us why the Ultra Hybrid is priced at $20 online through Spigen’s site. At the core of it all, you’re getting better protection, additional shock absorption, and it has an anti-slip property with its almost rubbery feel.